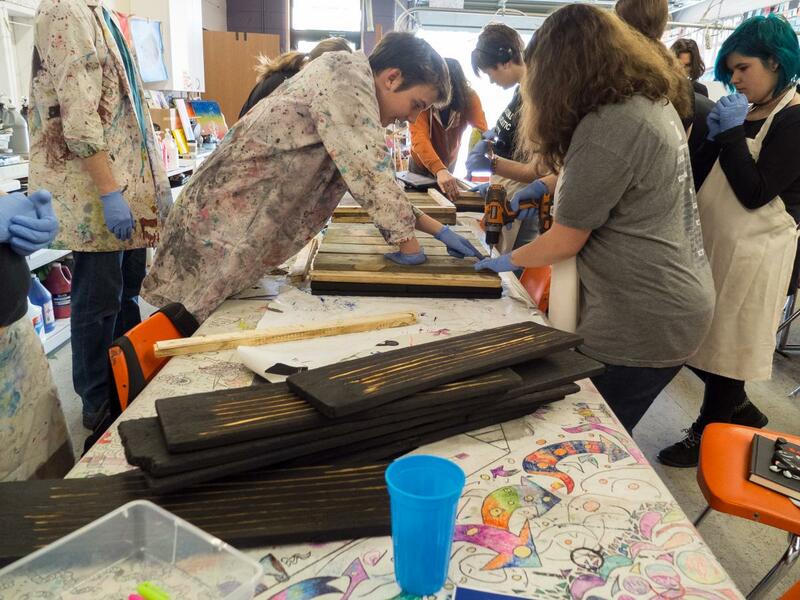 The Bat Association of MSU was really excited to be invited to do a Bat House Building workshop with the students at REACH Studio Art Center in ReoTown! With their help, we constructed 4 large, double chamber maternal bat boxes. Each box was made entirely from reclaimed cedar fencing, and burned and oiled to make it weather resistant. In the coming weeks, the students will decorate the boxes and they will eventually be installed along the Lansing River Trail to help educate visitors about the important role these insectivores play in maintaining a healthy ecosystem.